One’s future peeps through the polyvocal layers of past. The recessed layers will make one confront the grim truth of life and there is no possible escape. Life and the stories it produces are not so unfamiliar to us, rather we read novels with the expectation of such outcome. However, its form should revolve around a kind of regression or be decorated with a psychological history. 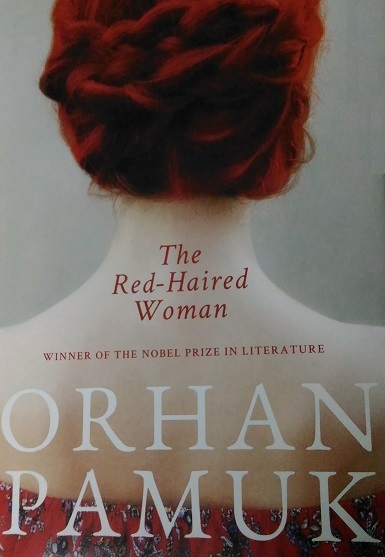 One such instance is Sophocles’ Oedipus Rex (429 BC) and other is Nobel Prize winner, Orhan Pamuk’s tenth novel The Red-Haired Woman (2016). The chronological difference between the two texts has been obliterated by Pamuk himself by using Oedipus Rex or Oedipus the King as one of the three epigraphs- ‘OEDIPUS: Where would a trace of this old crime be found?’ The other two are: one from Nietzsche’s The Birth of Tragedy (1872) on the myth of Oedipus and one from Persian poet Ferdowsi’s Shahnameh (between c. 977 and 1010 CE). In the light of these epigraphs, Pamuk’s novel remains indomitable in handling the questions of patricide and paternal filicide. “Oedipus Rex combines the two forms: Oedipus is both the owner of the buried past and the detective […] the story is about the futility of trying to escape from one’s past, of trying to reinvent oneself. The past refuses to be buried”. Pamuk’s novel is a memorandum of an excavation of that buried past. It’s about a kind of trauma and forgetting. The Red-Haired Woman is divided into three parts. In the first part, narrator Cem Çelik, abandoned by his father, decided to become an apprentice of a well- digger, Master Mahmut, in the fictional town of Öngoren, a down-at- heel military base outside Istanbul, leaving her mother at home. Mahmut became his guide and commander. The act of digging a well to make a barren land fertile made them bond well. And the construction of the well finds resonance with building up the wall in Paul Auster’s The Music of Chance (1990). That metaphor of well is also found in Haruki Murakami’s The Wind-Up Bird Chronicle (1997): a place for the manifestation of divine truth where Toru, the protagonist retreats to gain a perspective of the world. Cem, who was always deprived of his father’s love found a retreat in Mahmut. When he heard his master addressing him as “little gentleman”, he realized: “Those two words told me that Master Mahmut knew my family was educated city folk, which meant he would look out for me as a father and not burden me with the heavier tasks. They made me feel that he cared about me and took an interest in my life.” Mahmut became his foster- father. In Cem’s words, “the enigma of fathers and sons” is redundant and pivotal here; hence the third epigraph from Shahnameh goes like: “As a fatherless son, so a sonless father will be embraced by none”- where the valorous Rustum mistakenly kills his son, Sohrab. This is contradictory to the story of Oedipus. They gaze at each other holding two extremist positions in Pamuk’s novel. Mahmut and Cem had only one form of entertainment- to go to the market of Öngoren in order to buy groceries and cigarettes. It was the public space for them where they could get away from their cocoons and there came a tinge of ‘The Theatre of Morality Tales’, the imminent presence of the ‘red haired woman’. Her appearance reminds us of the last lines of Sylvia Plath’s Lady Lazarus: “Out of the ash/I rise with my red hair/ And I eat men like air”. Red haired women are inflammable, tempestuous and passionate. Pamuk’s eponymous woman was not different either- she was enticing, alluring, and mystique; her subsequent acts stained Cem’s life forever. The narrator said: “But just as she [red-haired woman] was stepping back into the house, she glanced at me and the elderly horse behind me. A melancholy smile formed on her perfectly curved lips, as if she’d seen something unusual in me or the horse. She was tall, her smile unexpectedly sweet and tender”. However, she was not the protagonist; rather her role in the final section of the novel was that of a catalyst. She was an integral part of the complacent relationship between father-son. 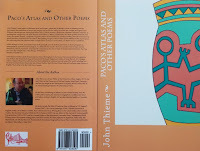 A desirable night in the life of the narrator would lead him to the opposite thread; the traditional and modern would meet at one point through the resurrection of past. Pamuk’s arraying of the narrative never for once made it look unrealistic. Unlike Pamuk’s last two novels, A Strangeness in My Mind (2014) and The Museum of Innocence (2008), this novel has a fable like texture to it which is unprecedented. The red haired woman, on one hand gave Cem happiness and identity: “The red haired woman showed me who I was, and what happiness meant” and Mahmut, his surrogate father, on the other provided him with love and sustenance. But Cem moved away from both the attractions. Leaving the injured Mahmut alone inside the well, he ran away towards Öngoren; nevertheless, the gypsy band where this lady belonged had deserted the place by then. His shame and guilt were lurking underneath, trying to spew out in light. Hence, he left the place in search of a peaceful life. And thus the first part ended. In the second part, Cem became a successful geologist, married but childless, engrossed in the study of Oedipus and Sohrab- Rustum. The subject of patricide and paternal filicide is recurrent. But Cem was ensnared by events of the distant past; he had to come back to Öngoren, from where it all started. At this juncture, a question should be posed to the readers: is Cem really a ‘sonless father’? The third part of the novel was narrated by the red haired woman herself who reminds us of Pamuk’s eminent novel The White Castle (1990) where there is also a shifting of narrator at the end. Any political turmoil or disputed idea is not the ethos of The Red-Haired Woman; rather it is a narrative of human relation, myth, and morality. In the epilogue of The White Castle, Pamuk wrote (collected from Pamuk’s Other Colours, 1999): “There are some novels that, though they might come to a satisfying finish, contain characters who continue their adventures in the author’s dreams”. The story of The Red-Haired Woman does not have a definite closure; it creates a space for a new beginning. Bio Note: Manisha Bhattacharya - Her interest lays in the broad area of Victorian literature, and literature of nineteenth-century colonial Bengal particularly the novels and the journals of these periods. She tries to take a holistic approach by combining textual analysis, socio-economic, cultural and historical context, and feminist issues.